Happy new year to all the readers of the Dragons’ Den IP blog. Whether you have been following us from the start or this is your first time with us I hope you enjoy tonight’s look at everything IP related in the Den. If you’re thinking about New Year’s resolutions today, why not make one of them subscribing to our blog updates, so you never miss one again?! As we have mentioned in this blog several times before, every business owns or uses IP in one way or another. In addition to the protection that IP rights offer, businesses can also benefit from exploiting them in a number of ways. This is what the first entrepreneurs were hoping to do when they entered the Den this evening talking about the patent they have secured on their invention, the Door Jammer. A patent protects the processes that make an invention work, what it’s made of and how it’s made. At first sight the Door Jammer, created by Phil Stratford and Roger Willems, doesn’t look like a major breakthrough invention, but that doesn’t matter. Even simple solutions can be patentable. Just look at the paperclip – there are over 15,000 patents relating to devices for securing paper dating back to the mid-1800s. Phil and Roger were hoping to secure an investment from the Dragons of £80,000 for a 15% stake in their business, manufacturing and selling the portable personal security devices. Businesses who own granted patents may be able to benefit from Patent Box . HMRC’s Patent Box scheme offers an additional incentive for companies to retain and commercialise existing patents and to develop new innovative patented products. It allows a business to apply a lower rate of corporation tax to any profits earned from patents. Of course, it’s not advisable for businesses to apply for a patent simply to take advantage of financial incentives. It should be a carefully considered as part of a company’s business plan. It is important to look at a product before applying and decide if it has long term value and sales potential to make filing for a patent a worthwhile expense. In the case of the Door Jammer the Dragons all expressed concern that the product wasn’t really solving a specific problem and that that they weren’t sure that it would have success in the market. For this reason, one by one, they all declared themselves out leaving Phil and Roger unable to unlock the door to success. When Sunil Kavuri entered the Den he appeared to be the full package, an ex-model and Cambridge graduate. The former investment banker has now turned his efforts to the food market, with his dream of bringing street food to supermarkets. The Dragons’ first concern with Sunil was the name of his company Go Gafoor Inc. Nick Jenkins questioned the use of the Inc in the name asking if it was an American company. Sunil was thrown by this line of questioning telling the Dragons that naming the company had been done by his business partner. But getting the name of your company right is hugely important. There are over three million limited companies in the UK. Often, when setting up a company people search the Companies House website for conflicting names. But often forget to search the trade mark register. Company law is different from trade mark law. Just because you have registered a company name with Companies House it doesn’t mean you can stop someone using a trade mark which is the same or similar. A quick look at the trade mark register shows that Sunil does have a trade mark on his company name Go Gafoor and also on his product name Great Grub. This is protection is vital to Sunil and his business when it comes to protecting his brand. Despite this protection of his brand the Dragons’ didn’t bite at the chance to invest this time, claiming a challenging market as one of the main reasons for their decision. 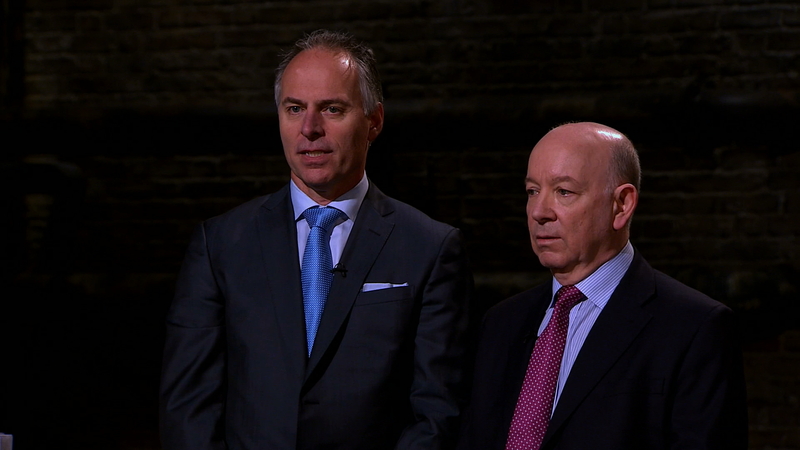 So there we have it, the first Dragons’ Den blog of 2017. Don’t forget that you can learn more about intellectual property and the work of the IPO in all sorts of different ways. Blogs, podcasts, live events and social media are just some of the ways we talk to people. We’d love to know what you think.